Oh, that second one is PERFECT!!! The first is just TOO cute. And the third....I have no words for how adorable the two combined toothy smiles are. Wowza! Already told you, but I just love these! LOL!! Oh, I LOVE, love the first one!! LOL!!! And the second one is brilliant too and the third one is hilarious!! Oh my god!!! My belly hurts!!! 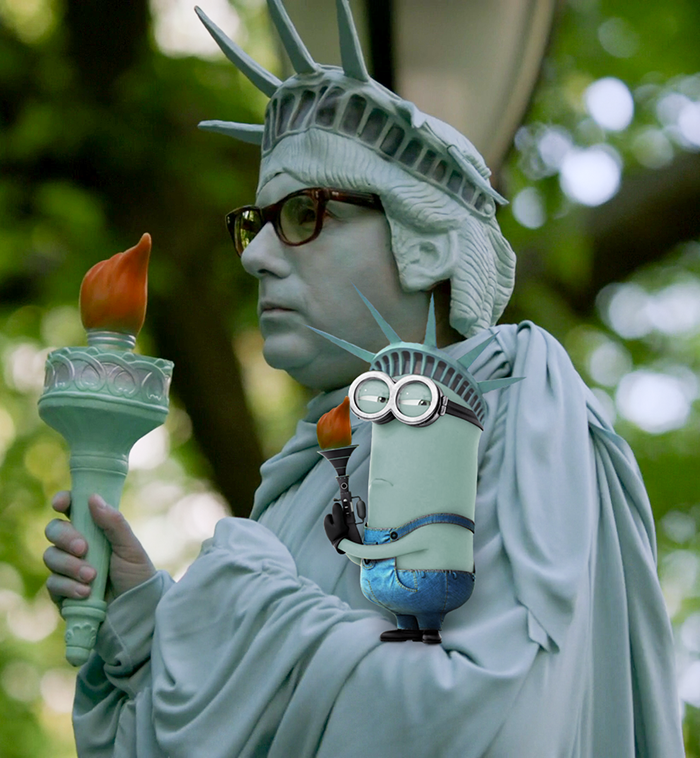 The one with Mozzie as Liberty, soooooo awesome! Peter's look,both times, hilarious. How do you get such wonderful ideas? You ARE a genius! I love how it looks like Peter is looking right at the minion in the second one. 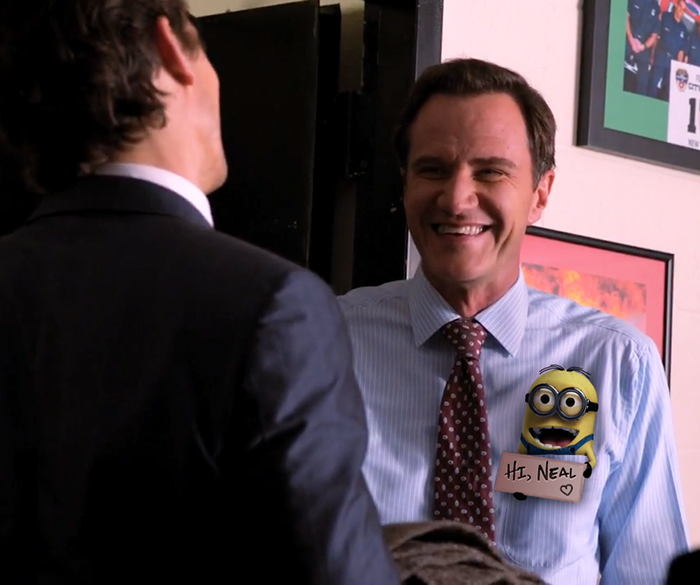 And awww, the minion in the third one saying hi neal. :) These are brilliant! You totally made my day! That last one with Peter is side-splitting! 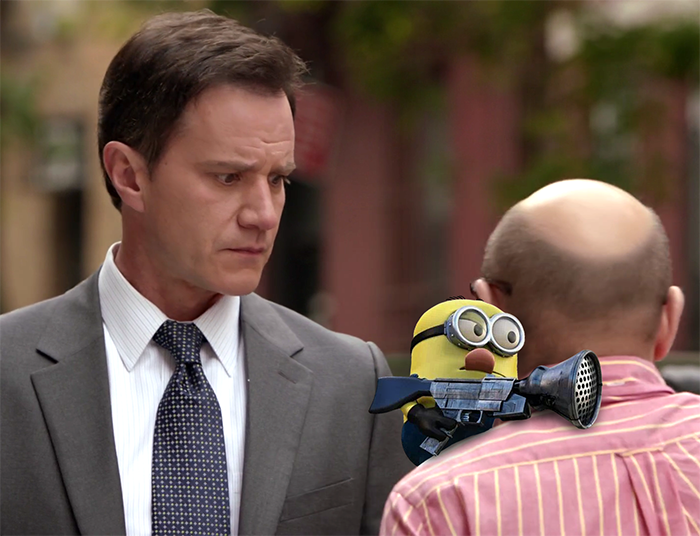 I am completely in love with your minion pics. Please never stop.